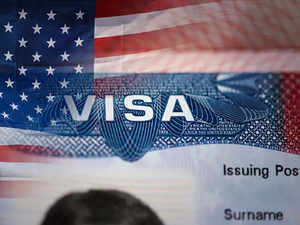 WASHINGTON: The polar vortex may have brought untold cold to the American Midwest, but hundreds of purported Indian students across the country are getting the shivers after being entrapped by the US Immigrations and Customs Enforcement (ICE) in an immigration racket. In an extraordinary saga that has put some 600 Indian youngsters on thin legal ice and resulted in the arrest of eight alleged masterminds, the US Department of Homeland Security set up a fake university in Michigan to target foreigners who wanted to immigrate to the US using a phony academic route. Hundreds of Indians fell into the trap. In an indictment filed in January and unsealed this week, US prosecutors alleged that from February 2017 through January 2019, the eight defendants “conspired with each other and others to fraudulently facilitate hundreds of foreign nationals in illegally remaining and working in the United States by actively recruiting them to enroll into a metro Detroit private university that, unbeknownst to the conspirators, was operated by HSI (Homeland Security Investigation) special agents as part of an undercover operation.”The so-called University of Farmington set up by the homeland security department harvested nearly 600 “students,” mostly from India, whom the defendants helped illegally remain and work in the United States as part of a ‘pay to stay’ scheme, the indictment said, alleging that the youngsters “knew that they would not attend any actual classes, earn credits or make academic progress toward an actual degree,” and were willing participants in an immigration fraud. The names of those charged in the indictments were given as: Barath Kakireddy, 29, of Lake Mary, Florida; Suresh Kandala, 31, of Culpeper, Virginia; Phanideep Karnati, 35, of Louisville, Kentucky; Prem Rampeesa, 26, of Charlotte, North Carolina; Santosh Sama, 28, of Fremont, California; Avinash Thakkallapally, 28, of Harrisburg, Pennsylvania; Aswanth Nune, 26, of Atlanta; and Naveen Prathipati, 26, of Dallas . According to Homeland Security officials, the “university” was opened in Farmington Hills, Michigan in to identify student recruiters and others engaging in immigration fraud that has infected the education sector. Agents began posing as university officials in February 2017 as a part of extreme efforts to crack down on the racket just a month into the Trump presidency. Nearly 600 youngsters from India are affected and some 100 students have also been arrested, according to community estimates. Many of them face prosecution, or at the very least, deportation. Because most of the students are from Andhra Pradesh and Telangana, various Telugu associations and attorneys are reaching out to help them. One thing is obvious: the youngsters, by the Department of Homeland Security’s own account, were entrapped. “Yes, the institution has an encouraging Twitter feed that flaunts royal-blue diplomas for a batch of Winter 2018 graduates. Yes, its Facebook page shares posts about the importance of observing Martin Luther King Jr. Day and articles from The Chronicle … But behind that online facade, there’s nothing there. Unlike the real University of Maine at Farmington, ‘the University of Farmington’ is fake,” the Chronicle of Higher Education wrote in its account of the sting. According to Homeland Security officials, the “university” was opened in Farmington Hills, Michigan in to identify student recruiters and others engaging in immigration fraud that has infected the education sector. Agents began posing as university officials in February 2017 as a part of extreme efforts to crack down on the racket just a month into the Trump presidency. Entrapment, a practice whereby a law enforcement agent induces a person to commit a criminal offense that the person would have otherwise been unlikely or unwilling to commit, is a frequently used but controversial tactic in the US. Depending on the law in a particular jurisdiction, the prosecution may be required to prove beyond a reasonable doubt that the defendant was not entrapped or the defendant may be required to prove that they were entrapped as an affirmative defense. 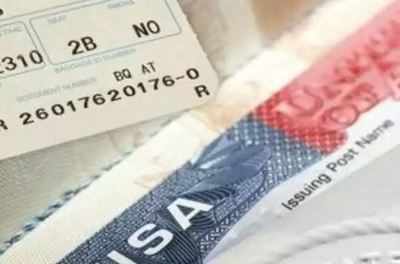 The American Telugu Association is also hosting a webinar on Thursday with immigration attorneys “to guide and counsel the students to be watchful with fake agents who promise illegal ways to stay in USA with admissions in unaccredited colleges.” The Association said attorneys “will also counsel on what constitutes violation of immigration rules and the best ways to follow the law.” Most students lack the resources to fight a legal battle, and a conference call hosted by Houston attorney Rahul Reddy attracted scores of students affected by the homeland security sting operation. “Not knowing the law is not an excuse,” Reddy cautioned in a video post, as it emerged that many students were taken in the easy route to work status offered in course of the sting operation.